Encompassing with the untouched forests, majesty waterfalls and spectacular scenery, the Central Highlands of Vietnam is a real hidden pearl for wild-life explorers. These do contrasts with several sites in the are that exhibit some savage scars of the War. If you want to fully visit all of the region, you may want to learn about its significant historical meaning through these war sites below. Sitting in the middle of several ethnic villages, Kontum is a small town with unique ethical aspects. This town had gone through some major battles during war, even today, you still can see the decaying weapons and shell bounds. One significant battle can be counted is the 1972 Easter Offensive/Nguyen Hue Campaign, which played an important role in the mission of reunification the South and the North Vietnam. 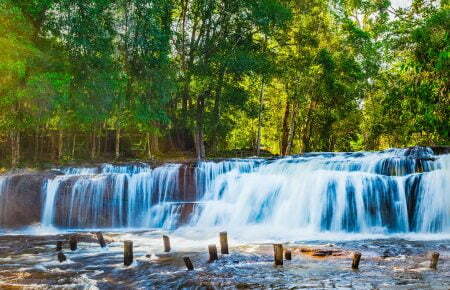 In mid 1994, Kontum started to open for public tourism, and quickly attract numbers of travelers with its large friendly indigenous population, traditional house built on stilts and glamorous waterfalls. 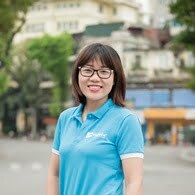 The best thing to do in Kontum is enjoy a walking tour or hiking around the area to explore the beauty of the Seminary which was built over 80 years ago, 120 years old church on Nguyen Hue street, the French Cathedral which is originally white in color but is streaked with black as if it had survived a fire, and obviously the hill tribe culture. Located at the junction of roads leading to Kontum, Buon Me Thuot and Quy Nhon, Pleiku is a town with a large ethnic population. As once being an American base in the history, this town had been almost destroyed during the Vietnam War, with the Pleiku Campaign in 1965 still stands in the memory. Today you can visit a number of former battlegrounds in Pleiku like Ham Rong Mount, Plei Me post and the former 1st Cavalry Division base at Hon Chong (in An Khe district). One thing you should not miss in this town is the Jarai an Bahnar tribes that live close by. They have a community building called a Rong House where the elders meet for ceremonies and festivals, with gongs, wine, drums and all the precious ceremonial artifacts. The tombs of these tribes are also very interesting. 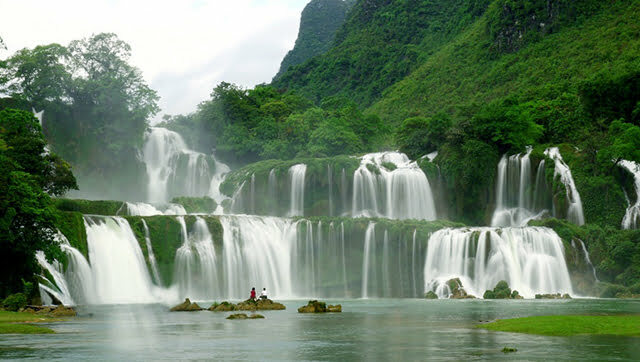 And this is a ideal place to take a visit to Yaly Waterfall, one of the most beautiful waterfalls in Vietnam. 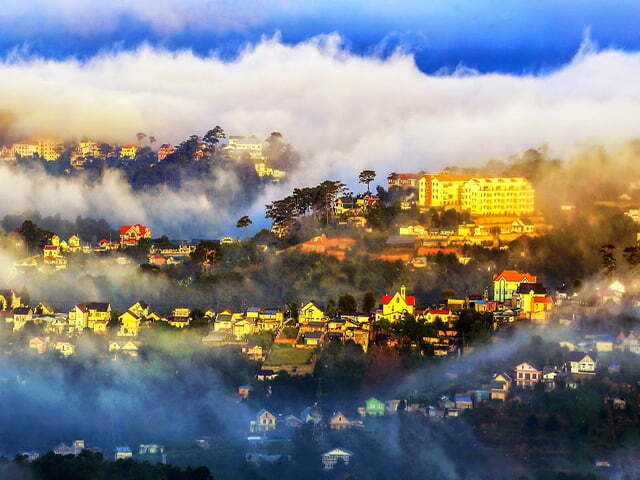 Da Lat, the capital of Lam Dong province, is the largest town in Central Highlands. 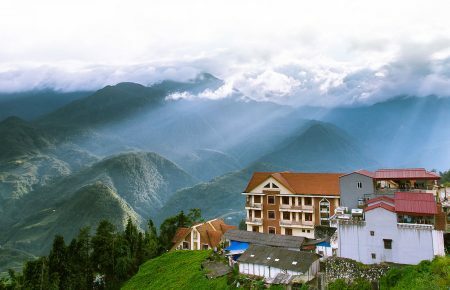 The bracing, cool mountain climate that Dalat enjoys at an altitude of 1,500m, offering its admirers large open spaces, picturesque waterfalls, colonial architecture and incredibly fresh produce provide respite. It is easy to see why the French were so enamored of Dalat during the colonial days and why it was the favorite getaway for the last emperor, Bao Dai. During the American war, the city remained a haven of peace, and as a result, Dalat’s beautiful colonial architecture has been preserved as nowhere else in Vietnam. 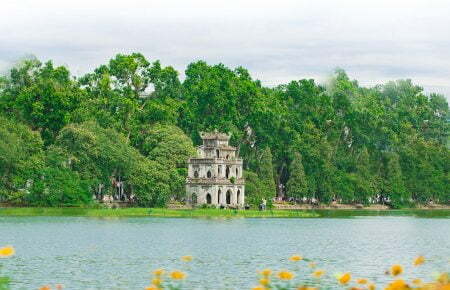 In this unique town, you can visit the Summer Palace of Bao Dai- Vietnam’s last emperor, which was built in 1933, and Lam Dong Museum, an excellent museum that has been recognized by the United Nations for its extensive collection of musical gongs used by the local K’ho, Ma and Churu minorities. 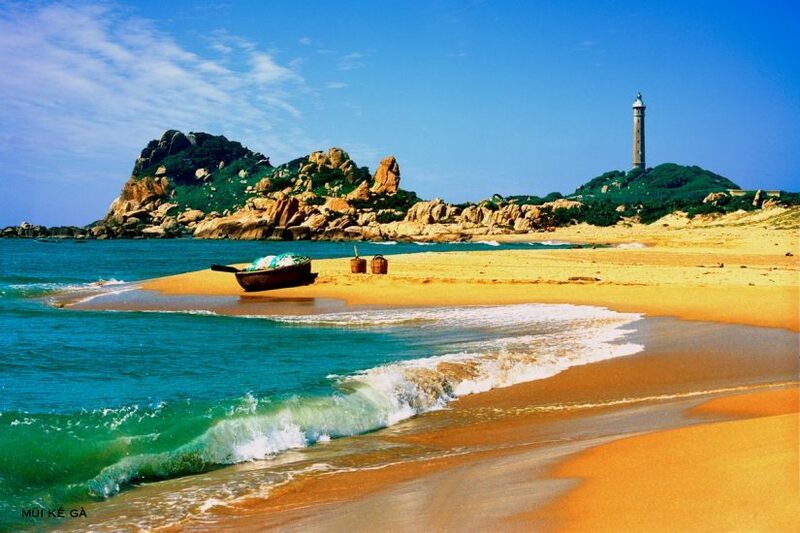 South Central Vietnam is well-known to travelers for spectacular beaches that are a must for anyone in the world. 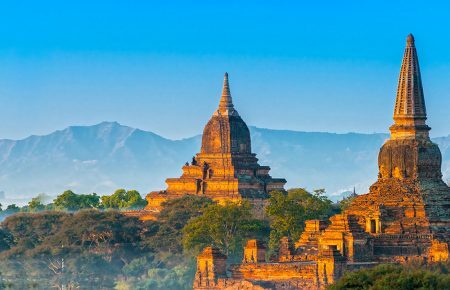 This region was within the Champa Kingdom a few centuries ago and there are Cham Temples near Phan Rang Thap Cham and Phan Thiet. More recently the Southern Central region of Vietnam played an important role in the Vietnam War. And the sites below may satisfy all culture and history lovers. 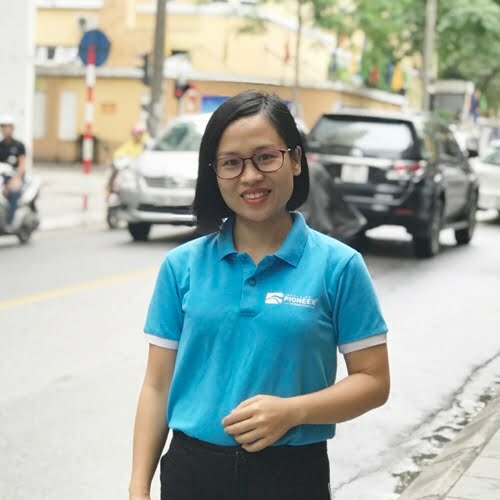 Around 200km from Ho Chi Minh City, Phan Thiet is the capital of Binh Thuan province, on the coast in south-eastern Vietnam, where all government offices for the province are located. During the Vietnam war, Phan Thiet was the site of the U.S military base, known as Landing Zone Betty which sat at the now closed airfield south-west of the city. 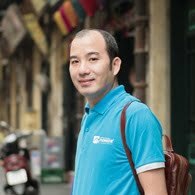 In recent years, Phan Thiet (specifically Mui Ne Beach district) has been transformed into a resort destination with a magical speed. You still can see a hill with huge grave yard opposing to ancient Cham Temple structures in Phan Thiet today, with the untrained eye appears like small quarry works, which is, in fact, artillery carters. Bomb craters are also still there in the city, but has been transformed into ponds with fishing activities. 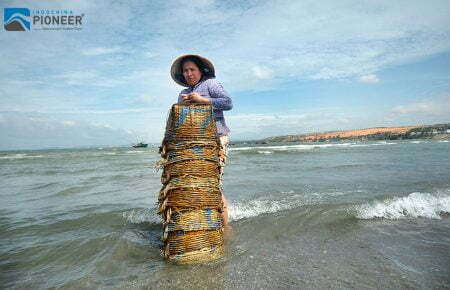 Nowadays, Phan Thiet- Mui Ne went from a small fishing community to Vietnam’s fastest-growing beach destination and premier beach resort capital. With strong, consistent cross-shore winds, Mui Ne is fast emerging as a kite-boarding and windsurfing hub for Southeast Asia. There are around a dozen kite-boarding schools, plus several annual windsurfing and kite-boarding competitions hosted here. Surrounding attractions include the Red Sand Dunes and the spectacular, Sahara-like White Sand Dunes, the latter yielding small lakes with bird-watching opportunities. 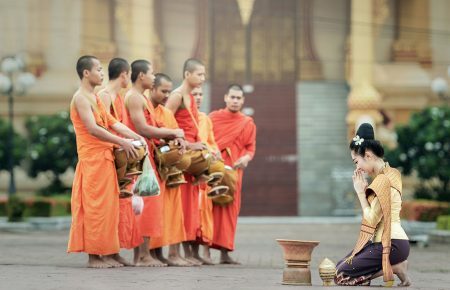 Nha Trang is not only Vietnam’s favorite party town, but also includes many hidden charms for those who delve deeper and explore its museums, aquariums and rich ethnic culture. Traces of human settlement in Nha Trang date back to the Cham Empire, though in times of Vietnamese rule, there wasn’t much more than small fishing villages. The French recognized that this beautiful bay, with its islands and white sand beaches, made for a perfect bathing spot, and began the transformation into a resort town. 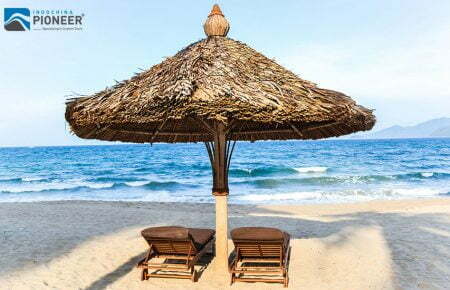 American soldiers agreed, and Nha Trang became a favorite vacation stop during the war. 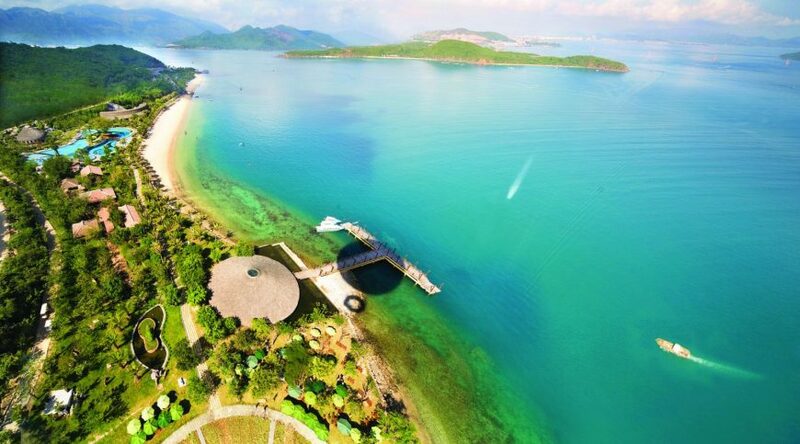 Nowadays, travelers can explore the famous war sites like Cam Ranh Bay, Binh Ba Training Camp (American Base), Dam Mon etc. for a deep historical experience. Besides the war sites, this delightful city also offers its admirers not only the amazing landscape, with a great long beach and a lot of islands; but also variable water sport activities, from scuba diving, hiking, snorkeling to kite surfing. This is a perfect destination for both nature lovers and adventure seekers.